Info: Created on 9th February 2018 . Last edited on 5th April 2018. Congratulations! FontStruct Staff have deemed your FontStruction worthy of special mention. 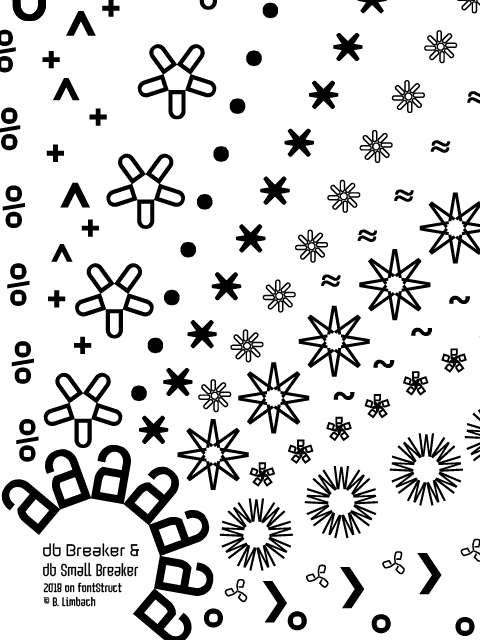 “db Breaker” is now a Top Pick. The 0 is not a closed loop... Is that intentional? Thank you very much for the TP. Nice sample, beate. Can you add a tiny thingy to the square root symbol? @beate: RAVFANTA = spam (of course). what are your problems with my fonts?